Welcome to the new ChannelSignal.com! Whether you’re a first time visitor or a regular, you may have noticed our new look. The new ChannelSignal.com was designed with you—the brand—in mind. 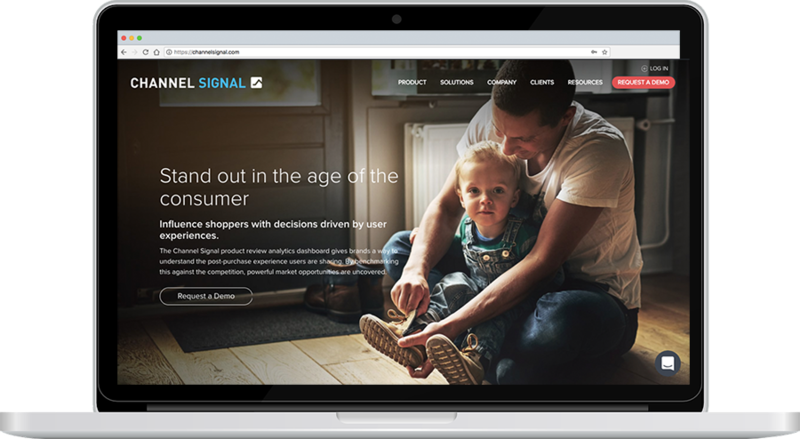 We spent months analyzing how our customers are using the Channel Signal platform so we can convey those benefits in the messaging and imagery on our website. In a world where retail is going through massive changes and brand loyalty is waning, consumers rely on the opinions of other consumers more than almost any other source of information. Aggregating and analyzing product reviews will uncover user experience data for both your brand and your competitors. It’s rich. It’s actionable. And it provides a competitive edge. It’s unlike any other data source. The Channel Signal pillars serve as the foundation for our business, and they set us aside from other companies. We are proud to now have them displayed on our home page. This will be a work-in-progress, but the Channel Signal Knowledgebase is a place for prospects and customers to learn about the field of product review analytics and how to use the Channel Signal platform to perform various functions. See something you love or something that looks a little off? Feel free to drop us a line. We’d really appreciate the feedback! Please share your thoughts. If you're open to being contacted about your opinion, please also leave your name and preferred contact method.